It was that hiatus between Christmas and New Year when things are not quite back to normal. Boredom had kicked in and the only option, other than eating oneself into a diabetic coma, was to get out of the house. We didn’t want to go far, so we decided to go to Cheadle in south Manchester. Cheadle is easy to get to as you can hop on the M60 and exit at Junction 2 onto the A560. 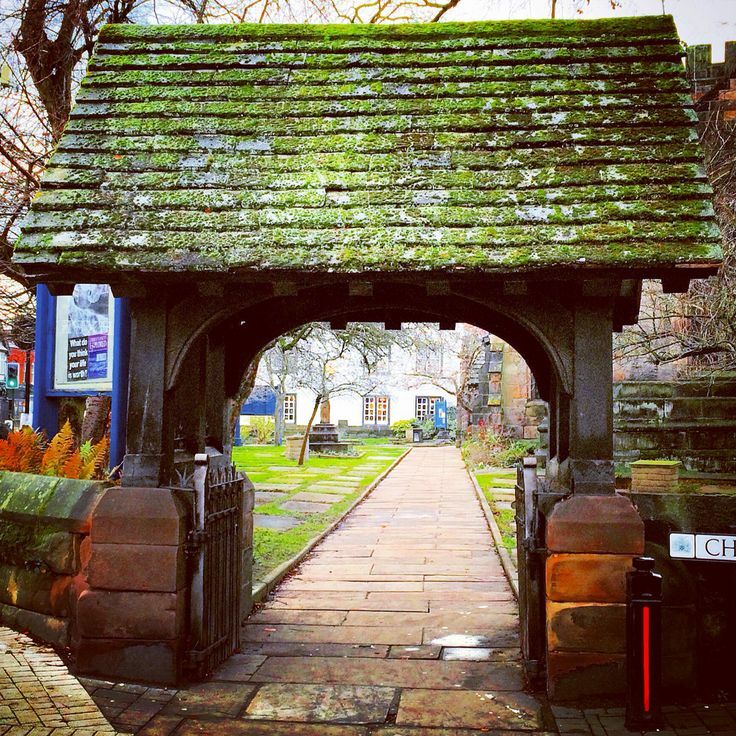 We’d been to Cheadle before and it’s a nice well-to-do neighbourhood in Stockport. It’s quite an old suburb with buildings dating back to the 1800s. 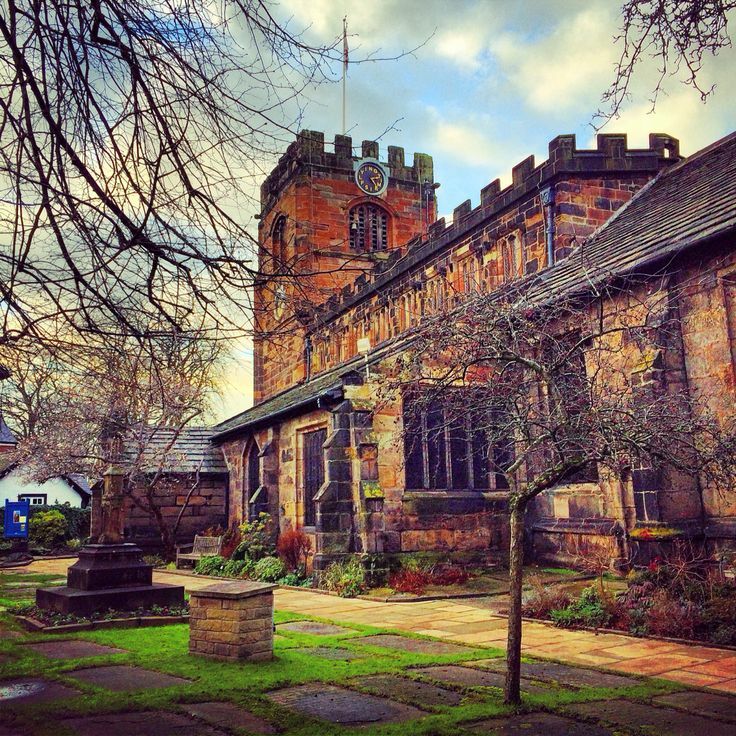 There has been a church in Cheadle since the 1200s and the current church is a Grade I listed, stout and sturdy stone building, rebuilt in the Victorian era. You know a neighbourhood is good when there is a John Lewis department store at the nearby retail park (it’s larger and classier than the Trafford Centre store). Parking is easy here and there is a pay and display car park behind the main shops. I would like to tell you how much it cost, but a nice lady gave me her parking ticket which still had a couple of hours on it. 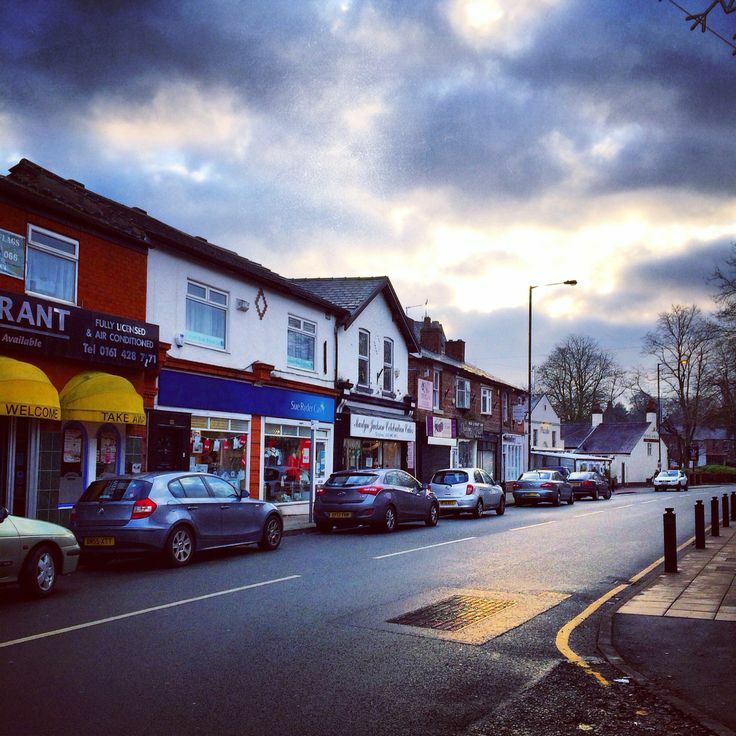 It was a Monday and Cheadle was quiet apart for the traffic streaming through the High Street. As we passed through a tiny shopping arcade (more a cut through to the main road) we spotted a classic sandwich shop pun name, “Baguette-Me-Not”. Sadly it had closed down, but top marks for the name. The shops in Cheadle seemed to be traditional, well established independent shops. 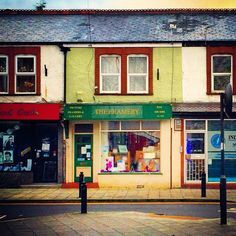 There are plenty of places to eat, get your hair done and pick up those bits and bobs between the weekly supermarket shop. 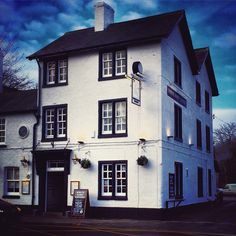 The pubs looked rather cosy and traditional – no doubt you could have a gastro-pub style lunch here. The biggest draw for us were the charity shops – there are plenty in Cheadle. I managed to pick up a nice rug for my little home study for £14.99. Much nicer than you could find new for that price in IKEA. Neil was struggling to find vinyl records though. We noticed that some of the charity shops were closed. Initially we thought it was because they couldn’t find enough volunteers to keep them open at this time of year. However it turned out it was because there was a power cut in Cheadle that affected half the shops. It was such a shame as there were still a few more to browse through. We’d been here before and behind the George and Dragon pub there used to be a shed selling antiques and collectables. Sadly everything appeared to be locked up and it has probably closed down. As the power cut had curtailed our visit to Cheadle we moved on to nearby Gatley. We’d only ever passed through Gatley before to get to the M56, so it was a novelty to stop here. Thankfully there is free on street parking and we parked up near the Sue Ryder shop. We didn’t spot anything exciting in the Sue Ryder shop, but we noticed across the road there was a house clearance shop called “Remember When”. It was one of those stacked to the rafters’ shops and Neil found some records to browse through. I went down into the cellar to look at the furniture and had a paranoid moment. I was worried that I could get trapped down there. As I’m not good with confined spaces I made a swift exit upstairs. It was rather cold in the shop with a musty old- stuff smell, so I didn’t spend much time in there. Afterwards we had a wander through the village and it’s one of those nice leafy places that people escape to from the madness of the city. Mather’s Bakery showed most signs of life as it had a little café inside. The Prince of Wales pub looked rather traditional and had a nice view of the green. I had to do a double take at the Tesco Express as it was cunningly disguised in a 19th century building, painted in heritage colours. No doubt that was part of the planning permission, but I wish they would take more care when they infiltrate the other high streets. I always remember Royal Leamington Spa had a heritage style policy on shop frontages and the town looked so much better for it. We also noticed the dog walkers were checking in with each other, which shows a nice sense of community here. Although sometimes it makes me laugh when I see dog owners take on characteristics of their pets - the poodle owner shared the same upright posture and gait of his dog. 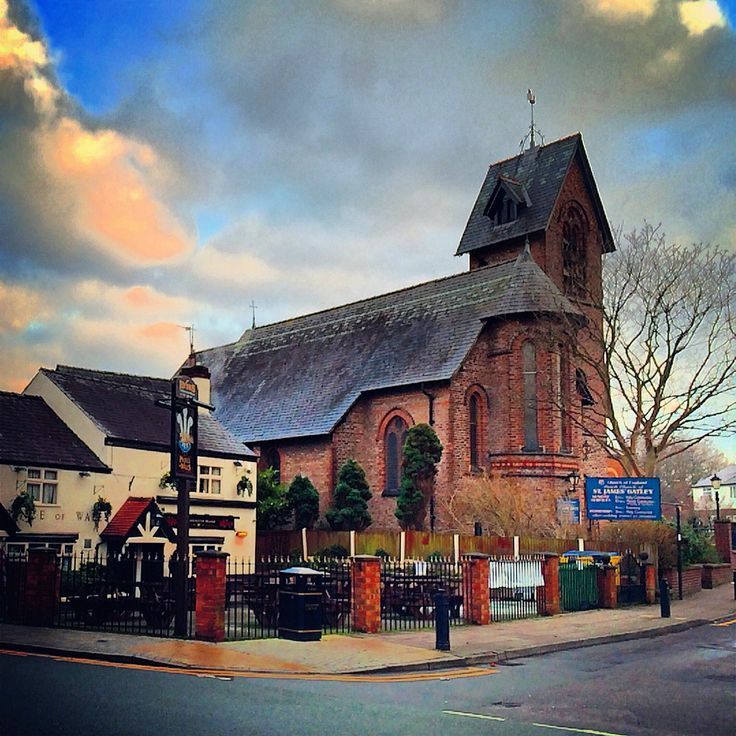 Gatley is a world away from nearby Wythenshawe, which is a massive council estate in South Manchester. When I used to work in Wythenshawe, the aspiration of people living there was to move to Gatley as it was seen as moving up in the world. Whilst in reality Gatley is a rather sleepy village compared to nearby Cheadle, I can quite understand the appeal of the place, although being on the flight path to nearby Manchester Airport means triple glazing is a must to live here. Whilst it wasn’t the most exciting trip out, especially with the power cut, it was good to see somewhere different. Both Cheadle and Gatley are nice little suburbs, handy for the airport and the motorway. Not exactly day trip material, but if you want have a pub lunch or check out some charity shops, Cheadle and Gatley are both worth a visit.